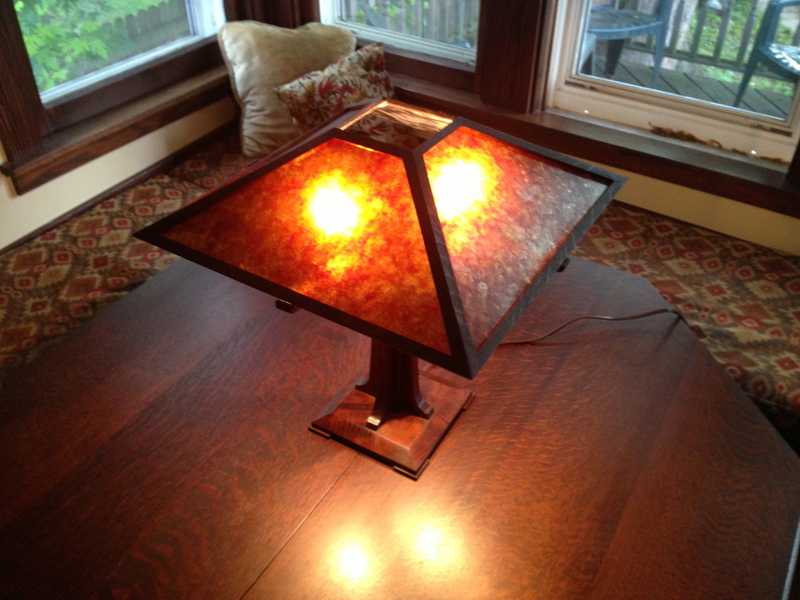 This lamp is a popular woodworking design, from a plan published in Wood magazine. There's also a kit that includes the hardware and mica for the shade. It's in no way my design, but it’s so damn perfect, I had to give it a whirl. Although the angles on the frame for the shade look tricky, the plans did all the thinking for me. The “trick” was to make sure the face was on the flat side of the frames, so the ray flecks would show. It is too easy to cut them so the side grain is showing instead. It took a couple of weekends to put together, and was a lot of fun. 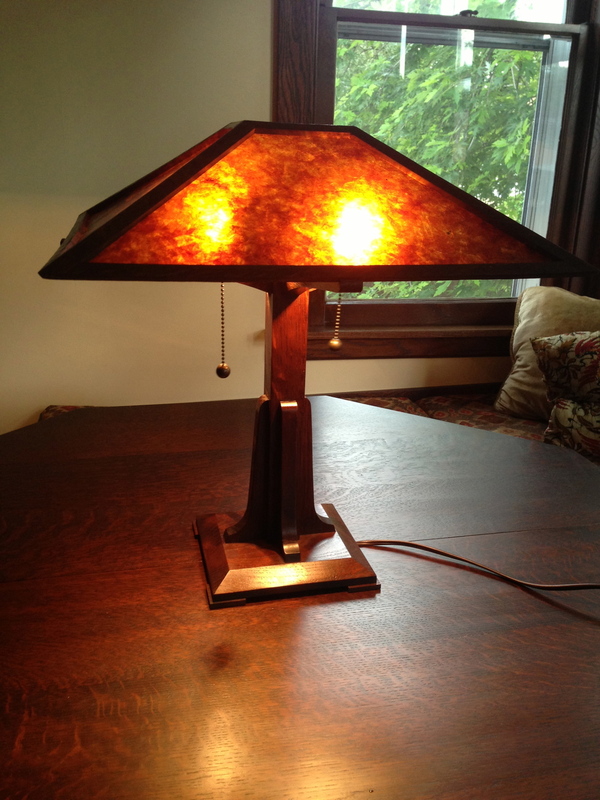 I finished it with water based dye, sprayed garnet shellac, and then some dark paste wax.